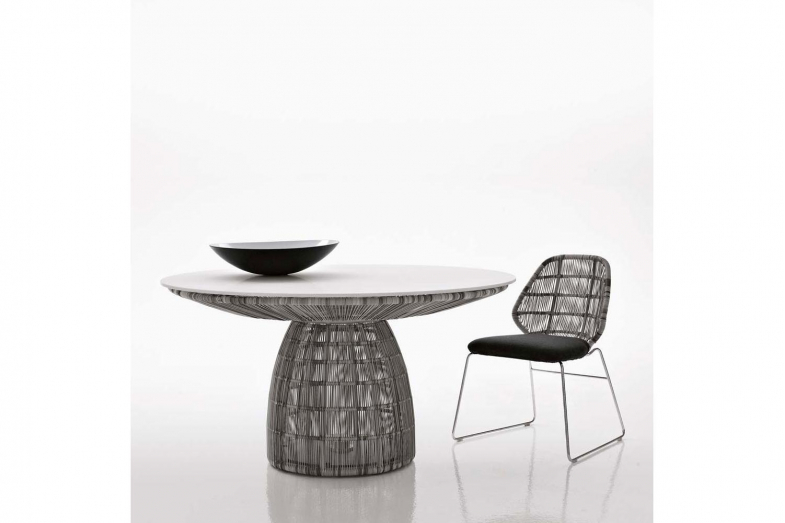 The new round table for the Crinoline collection boasts a truly sculptural style. 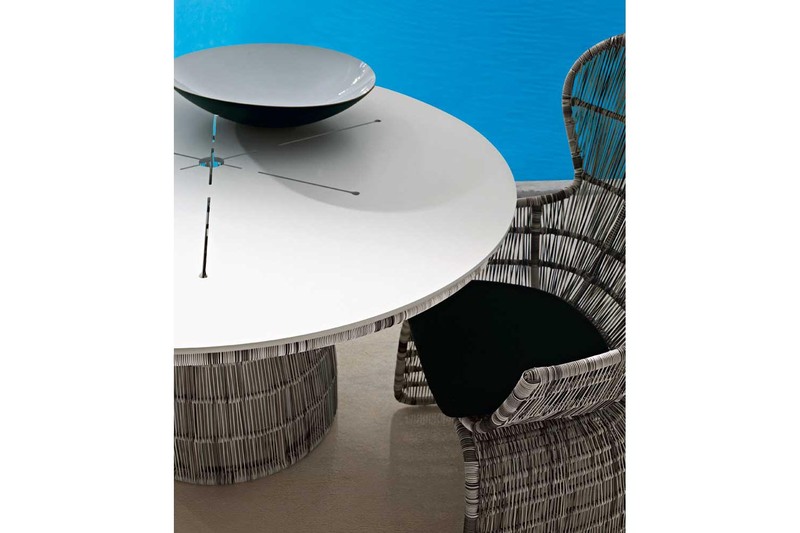 A perfect complement to the rest of this series, the table takes on the same curved lines of the seats as well as the interlacing polyethylene fibres. The base is made up of two connected elements that create a chalice that supports the top and is available in two versions with black-white or bronze-black finishing. 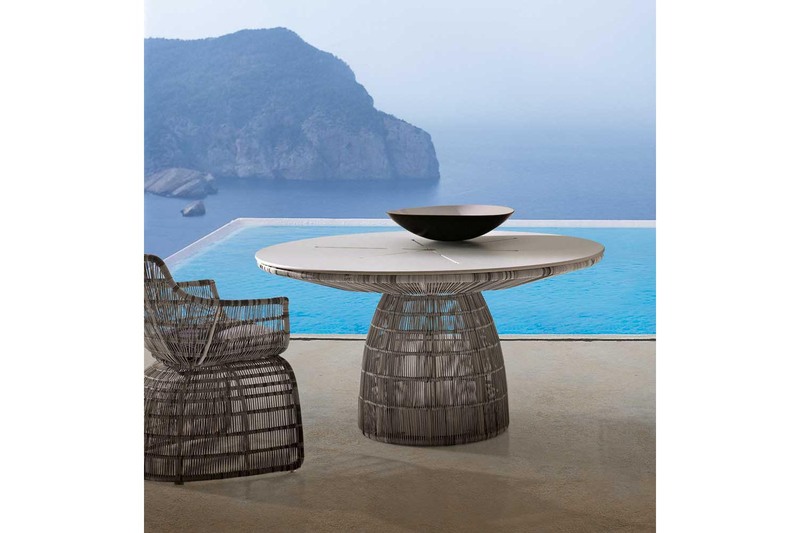 The tabletop is available in either white-coloured glass in pate de verre or in white stratified HPL with a pattern milled lines radiating outwards from the centre. The latter version is designed to hold an umbrella in the centre.